As the inevitability of aging occurs, vital parts and senses of the body start to wear down in function and at a much reduced capacity. While at a first thought many think of vision loss, hearing loss poses just as great of a threat to one’s health. Hearing loss impacts a staggering number of Americans of all ages, and when problems arise, most tend to make the mistake seeking relief from a big-box retailer. Unlike the professionals at Pinnacle ENT Associates (PENTA), such retailers do not hold the same caliber of expertise and credibility in treating symptoms pertaining to hearing loss. PENTA provides the highest quality and expert care from top doctors and audiologists combined, and they have accumulated several accolades from various publications and associations to show for it. With 15 office locations in the greater Philadelphia area, treatment is far from scarce. 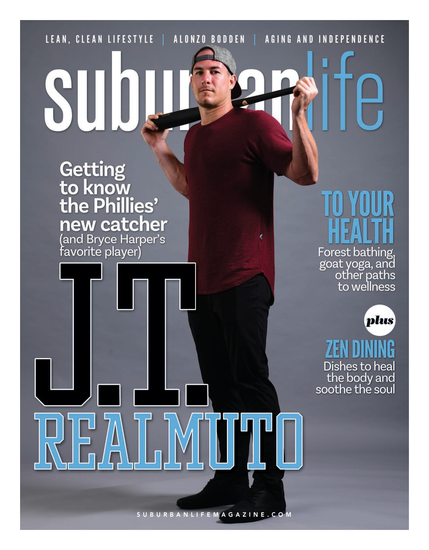 Suburban Life/Philadelphia Life turned to the experts to learn more about physician- based hearing loss care, and the importance of proactive treatment to sustain a clearer, healthier life. What are some primary reasons someone should choose physician-based care over a big-box retailer? Dr. Satyen Undavia: The most common cause of hearing loss is due to age related changes, however, there are many other causes and some can impact your health. We evaluate and examine the patient to rule out medical diseases that affect hearing loss. This can be something as simple as checking the ears to make sure there’s no wax build up or fluid in the ears. I even had an instance where a patient received new hearing aids but still had an old hearing aid tip stuck in the ear. Clearly they were not properly evaluated. We also make sure you’re a good candidate and can benefit from a hearing aid. Dr. Nicole Balliet: We perform multiple diagnostic tests to determine cause and types of hearing loss. Big box retail usually performs only brief screenings. Hearing loss cannot be treated with a hearing aid only. Patients are led to believe if they have hearing loss, that only a hearing aid will solve the problem. Unfortunately, depending on the patient’s hearing loss, they may need more than just hearing aids for intervention. Audiologists are able to counsel patients on different environmental challenges and how to modify their environments or situations to improve communication. For example, if you dine at a restaurant and try to accommodate seating that improves speech in noise. We provide patients with communications strategies to assist in the rehabilitation process. Dr. Larry Feiner: We treat the whole patient, not just the hearing loss. We have actual doctors on staff, who have had many years of experience and many years of education. They continue their education as well by attending conferences on a monthly basis and discussions with hearing aid manufacturers. All of our doctors are up to date on the latest technology. With a constantly technologically evolving society, how has the technology evolved in hearing aids and this particular field? SU: The sizes are getting much smaller, and some you can’t see at all. We have hearing aids with a clear, thin wire that goes over the ear that is barely visible. The advanced hearing aids on the market also have more precise tuning to better suit the patients needs. They’ll auto adjust to each environment you’re in. A lot of them are also becoming rechargeable, so patients don’t have to worry about replacing tiny batteries. Unrelated to the aid, my practice is one of the first ones to be doing Eustachian Tube Dilation for chronic issues pertaining to pressure in the ears. It was just FDA approved in March. NB: The styles have become more sleek and tailored to the specific needs of the patient. Research and design engineers spend countless hours testing and researching to create a product that mimics the auditory system the best it can. What are some of the ways in which you diagnose and treat hearing loss? LF: The most important thing is determining the patient’s medical history. Most of the time, speaking with the patient and reviewing their medical problems such as high blood pressure or medication they’re taking can help us with diagnosis. We always complete a physical exam on patients, and we are very attuned to the whole health of the patient. We also have diagnostic tools, such as audiometry, which determine hearing loss, Auditory Brainstem Response tests (ABR) which provides information about the inner ear, and Otoacoustic Emissions (OAEs) which we can use on newborns, that measures the electrical activity of the ear and will be able to determine any congenital hearing loss that may be present. I understand it’s common that hearing loss significantly—and negatively— impacts a person’s life. Specifically, what is impacted? NB: Usually when a patient is diagnosed with hearing loss for the first time, it can take anywhere from six to seven years to pursue a solution to their problem. When discussing their hearing loss, we counsel the patient on the significant effects hearing loss can have on their lives. What I find is those who do not treat their hearing loss in due time can become socially withdrawn, etc. They may act as if they understand what is being discussed in a conversation by non-verbal cues such as nodding their head. One of the major aspects hearing loss affects is communication between family and friends. SU: Hearing is a sense—similar to vision, if you can’t see properly, it can affect your life. The same goes for hearing. It’s a huge part of how we interact with our world. Hearing, for instance, helps keep us safe. When you’re outside and you can’t hear a car coming, that can be dangerous. Hearing loss also impacts cognitive function. If you can’t hear something properly, the brain can’t process the information correctly. Improving hearing will make a person all around more functional. LF: You’ll see a noticeable difference before and after hearing loss is treated. Patients with hearing loss can become isolated, depressed and avoid social interaction altogether. Also, depression and isolation can lead to further health problems. By treating patients and allowing them to hear, they begin to socialize once again and live a more fulfilling life. Besides social isolation and depression, what other health problems can arise for untreated patients? LF: People won’t stay active due to the isolation factor. In regard to depression, depression can lead to overeating and weight gain, which in turn can lead to further issues such as high blood pressure or cardiovascular disease. NB: There are a few comorbidities linked with hearing loss, including dementia, diabetes, depression, hypertension and stress. In regards to dementia, more studies are being released on patients that have hearing loss that are treated with hearing aids and without hearing aids. What the studies have concluded is that patients diagnosed with dementia who do not wear a hearing aid can have an increase in cognitive decline. This is because they’re not getting stimulation to the temporal or auditory portion of the brain. SU: Some of these diseases can actually make hearing loss worse. Diseases such as diabetes and heart disease affect your vascular health, and a large part of hearing is proper blood supply to the hearing organs. Diabetes and heart disease can decrease the blood supply to the hearing organs and in turn, make the loss worse and faster than someone without these conditions. Being that PENTA provides quality care and medically treats the entire patient, what other services are offered? NB: We provide ongoing support and follow up appointments for patients, meaning they can contact us anytime. I communicate with patients through email and over the phone, and patients won’t be waiting several weeks for an appointment. We also offer warranties with hearing aids for repair, loss and damage. In addition, we encourage our patients to schedule bi-annual or annual follow up appointments, similar to a doctor’s office. These follow up appointments are important, because patients sometimes are not aware hearing can change like vision. If patients are having problems or any complaints about their hearing aid or hearing, we can address this in a timely and skilled manner. 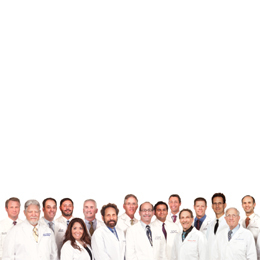 We strive for our patients to have the best possible experience and quality of care.